"KT4" redirects here. For the tram type, see Tatra KT4. 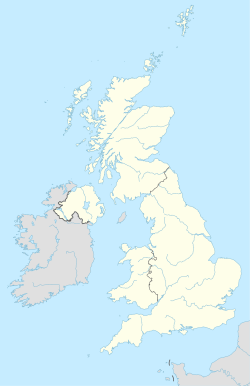 The KT postcode area, also known as the Kingston upon Thames postcode area, is a group of 24 postcode districts in England which are subdivisions of 19 post towns. These postcode districts cover parts of southwestern Greater London and northern Surrey. Mail for this area is sorted at the Jubilee Mail Centre in Hounslow. In Greater London the area covers most of the Royal Borough of Kingston upon Thames and small parts of the boroughs of Richmond upon Thames, Merton and Sutton, while in Surrey it covers virtually all of the borough of Elmbridge, most of the borough of Epsom and Ewell, the northwestern part of the borough of Reigate and Banstead, the northern part of the Mole Valley district, the northeastern parts of the boroughs of Guildford and Woking and the southern part of the borough of Runnymede, as well as a very small part of the borough of Spelthorne. KT postcode area map, showing postcode districts in red and post towns in grey text, with links to nearby CR, GU, RH, SL, SM, SW and TW postcode areas.